Polenta cakes are stupidly easy to make. I don’t mean this as an insult to polenta cakes, you, or anyone else for that matter. But, really. Dumping everything in a stand mixer and pressing ‘on’ is pretty easy. And sometimes – even although you may be the best baker in your family, in your workplace, in the world – stupidly-easy is what you need. If and when that situation arises, polenta cake is there for you. We have Italians to thank for this brilliant way with dried and ground corn. They took something inherently bland and really quite gritty, and magicked it into a delectably more-ish cake. Variations abound, and often include wheat flour – even potato flour – but I find traditional Italian ones, dare I say, a tad dry. I’m guessing here but this may be deliberate: a way to convey Vin Santo to the mouth. Rectifying a tendency to dryness is where the British lemon drizzle cake often comes to the rescue. The sticky-sharp syrup of this stalwart of the tea tray is frequently used to drench today’s polenta cakes. Which is lovely, but in this cake I like to drench the cake with fruit – sweet, juicy, nutritious fruit. You, of course, may do both. Or even pour over warmed good quality honey mixed with lemon: I sometimes do, especially if I have accidentally overbaked the cake. Which happens more often than I should admit to. So maybe it is not so stupidly-easy after all! What is your stupidly-easy bake? 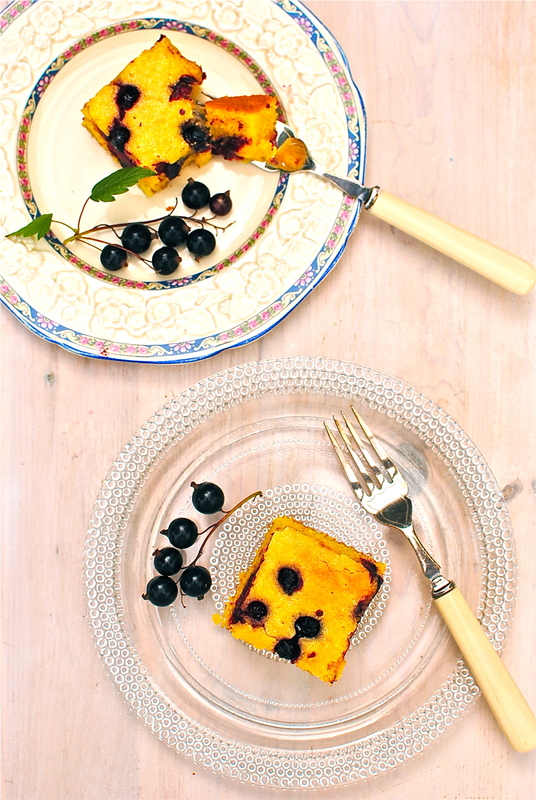 I make this lemon drizzle-polenta cake hybrid a lot for my summer cancer nutrition workshops. Along with my Chocolate Beetroot Cake, this seems to be a favourite. 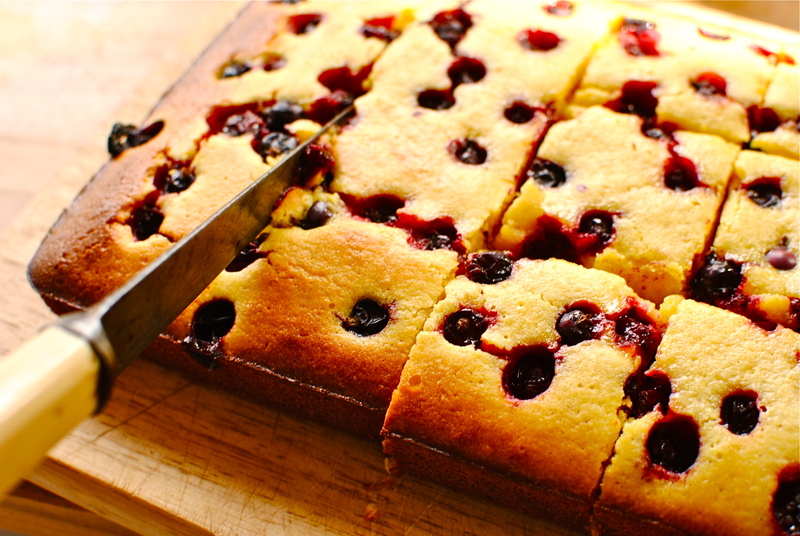 I think what sets it apart from other, similar, cakes is the double helping of lemon juice and the zingy fresh berries – a zing that is sometimes missing from so-called lemon cake. What is missing from this cake is the syrupy topping. But I don’t think you will miss it. At least I hope not! This is pretty healthy for a cake – no butter, no flour, and a relatively small amount of sugar for a cake. However, it goes without saying that for most of us (she says patting her belly) this is for an occasional treat, not everyday munching. We like this quite puddingy and a bit squidgy: if you like a firmer cake, leave it in a little longer. It will still be lovely and soft. And when summer berries are scarce just push in slices of ripe fruit of choice – pears, plums, cooked quince. This is suitable for those with coeliac disease and a soft diet. Dairy-free and gluten-free, too. 1. Oil and baseline an 11 x 7 inch/27.5 x 18cm (approx) pan. Preheat oven to 180 C/160 C fan/350F. Have your baking paper reach up from two sides so that you can pull the cake out easily when cool. Or use a loose-bottomed tin. 2. Beat together the oil and sugar. I use a stand-mixer and let it rip for about 4-5 minutes. Pour in the polenta, baking powder, turmeric, almonds, lemon zest and juice, vanilla and eggs. Mix well and pour into the prepared tin. Although I use a stand mixer for this, strong arms or electric beaters are fine. 3. Top the golden batter with a good sprinkling of your chosen berries. Bake in the middle of the oven for 25-30 minutes, checking at 20 minutes and perhaps covering with foil to prevent burning. I usually take it out at 25 for a slightly softer cake. You can also make this in a well-greased muffin tin (uses 9-10 holes); bake these for about 20 minutes, but check at 15. The top of the cake or muffins should be golden brown in patches and just starting to pull away from the sides of the tin. 4. Let the cake stand for about 20 minutes before pulling it out by the baking paper ‘handle’ and onto a serving board or plate. It should ideally be slightly ‘puddingy’in the middle; certainly not at all dry. Serve barely warm, or cold, with fruit compote and/or vanilla custard (and!). NB I sometimes add in some green tea powder (matcha powder) to the batter but the colour is a bit odd. I have the pleasure of popping this over to Made With Love Mondays, hosted by the generous and brilliant Mark at Cookin’ W/ Luv. 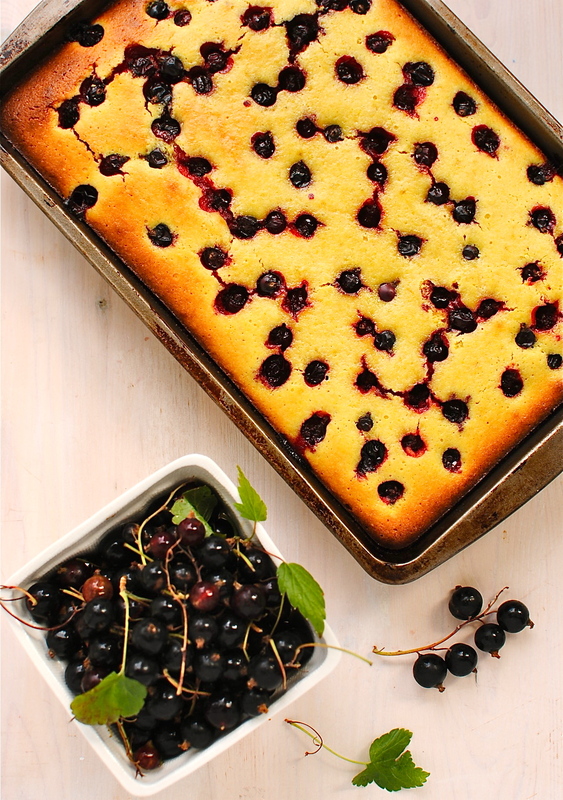 I’ve never had polenta cake, but this makes me want to try it! (Any cake described as “puddingy and squidgy” will go on my to-make list instantly, I’m pretty sure.) Your photos are gorgeous and the cake looks wonderful, thank you for sharing! What a lovely comment – thank you! I would agree that polenta cakes are stupidly easy cakes but also my magical lemon pie is one of those bung it in a mixer and press start for 15 mins kinda recipes which yields a lovely lemon tart! I recognise those blackcurrants! I wish I had not made jam with all of mine, they look so good in this recipe. Maybe another picking trip is needed! I’ve never used ready made polenta, but when I make some up I make extra and add parmesan, thyme and chilli to it and then oil the ‘slabs’ and griddle or grill. I think maybe just frying them in garlicky olive oil and adding herbs into the pan might be nice. Or slicing it up and layering it with cheese sauce or tomato sauce. How does that sound? Anyone reading this, add your suggestions too! This looks really good. 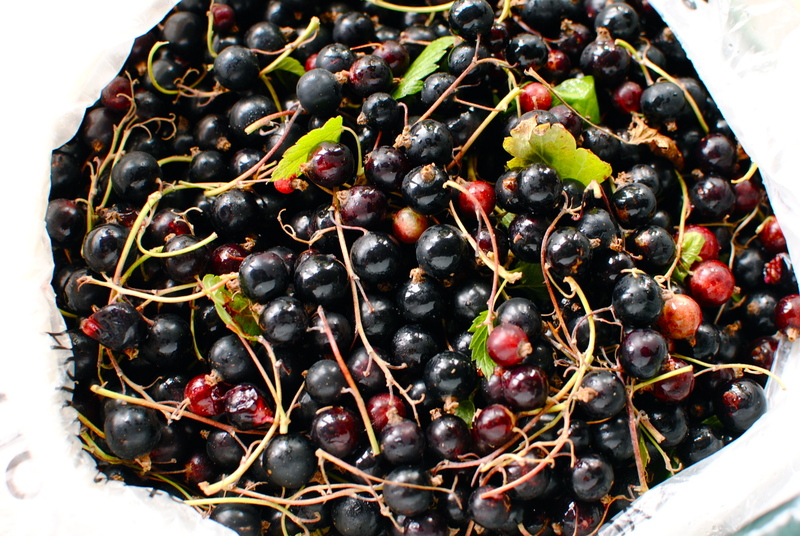 I am just wondering is there anything to replace the black currents. Any berries at all – raspberries is my usual, but I love the ‘nip’ of black currants. And if you don’t have berries, plums are nice, or strawberries. Anything you like! Wonderful! I have a glut of blackcurrants from the allotment to use up and this looks like just the thing! I used another batch in a Nigel Slater recipe with marzipan and the tart little berries worked beautifully with the sweet almond. I’ll try yours for my mum’s birthday bash! Off to a yoga retreat tomorrow, armed with a courgette loaf – another glut I’m experimenting with. Never had a polenta cake before. Looks delish. If I change the blackcurrant to cherry or some other berries, do you think it would be okay with the taste? Yes it will fab. The last batch I made was with cherries and it was delish. I DO prefer the nippier contrast of black currants, but I am kind of weird that way. Basically I even like my sweet things to be a bit tangy! Easy is fine with me as long as the recipe is bursting with flavor! And black currants sound so enticing! A lovely cake to celebrate summer! What a timely post! 🙂 Just bought some red currants from a local farmer’s market yesterday and was debating what to do with them. This cake looks beautiful. 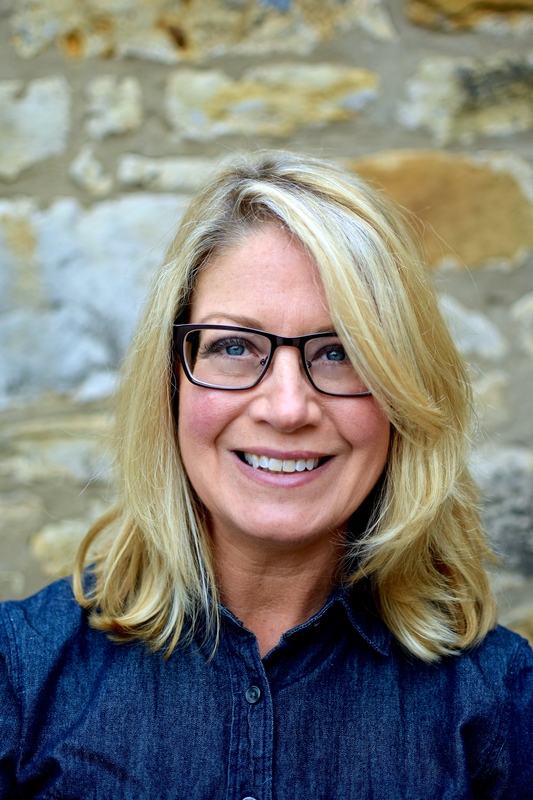 Kellie, I love the sound of this cake and the addition of turmeric is interesting! Thank you for sharing. I’ve actually never seen polenta used in a dessert before but it makes so much sense. Seems like a really cool idea! Polenta cake has been on my list to make for a while, so thanks for reassuring me that it is simple to make (I absolutely fall into the non-bakers category!) I may replace (if you don’t mind) blackcurrants with blueberries. Another winning recipe Kellie! Made it with red currants. Very good. Going very fast! I love your polenta cake Kellie, it’s definitely a favourite among staff and visitors to Maggies. Your photos are really wonderful so infused with colour that I can taste the cake just by looking. We are about to be drowned in a glut of raspberries so I think I might try it with those. I have read about polenta cake many times (baking books and net), but have not come across cornmeal in the supermarkets, though fresh corn is easily available here. I love healthy alternative to cakes. And l like most of ur recipies. I’m wondering if it may go by a different name in your country as it is the product of the most widely grown crop in the world (apparently). I’m wondering if maybe it goes by another name in your country as it is the product of the ost widely grown crop in the world (apparently). Maybe. Or i look again. Thank you. 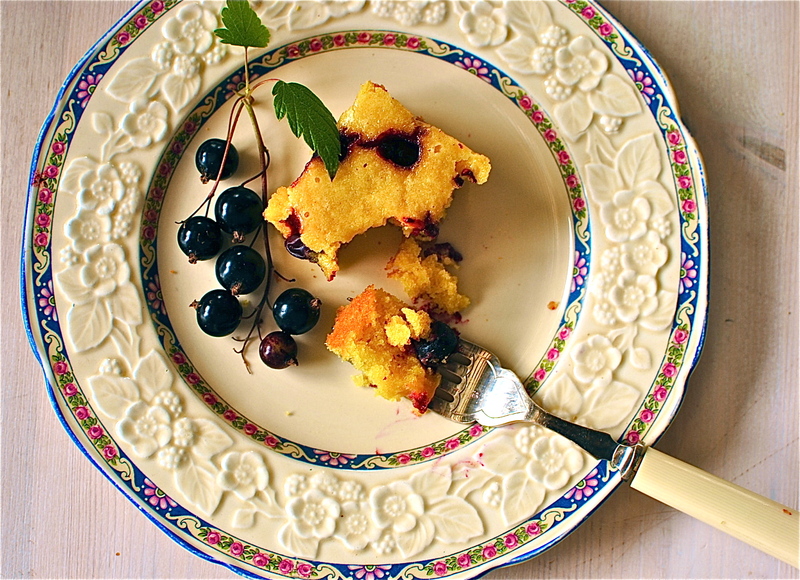 Hmmm….How is it that I have never made a polenta cake before? Love that this is naturally GF, and looks simply amazing!! It is not a diet kind of cake, to be sure. But a small slice with a cup of tea is quite filling and satisfying. I should take the time to do the calorie count stuff but, as this isn’t a calorie counting kind of blog, I kind of just hope that people are mindful of portion sizes when serving! Thanks for visiting, Fiona. Love your 5:2 quiche! That’s super, Lucky. Thanks so my h for getting back to me with such useful and detailed information. I’m so happy you like this cake. I may just try it your way next! I was thinking about “veganizing” this recipe — using applesauce instead of eggs. It seems like the applesauce would remedy the cake’s tendency toward dryness. Applesauce could be nice, but if dryness of the cake is a worry this cake is actually quite puddingy. Very soft. Perhaps more lemon if adding the applesauce. If you’re veganising it do you think you would need to put in extra raising agent to compensate for the missing eggs? This cake looks really great, I want to make it for my daughter as she has an intolerance to fat which means even ‘good fats’ like eggs and nuts are a no go and so she’s never had cake before. Do you think it would work if I just used egg whites (obviously increasing the amount)? Also do you have any suggestions on what I could replace the ground almonds with? Hi there. I think very well whipped white would be fine and perhaps toasted and ground oats (oat flour) might sub for the nuts but that would be an educated guess. Let me know how it goes!